Getting Ready For A Picnic At Beech Forest Trail In Provincetown On Cape Cod. 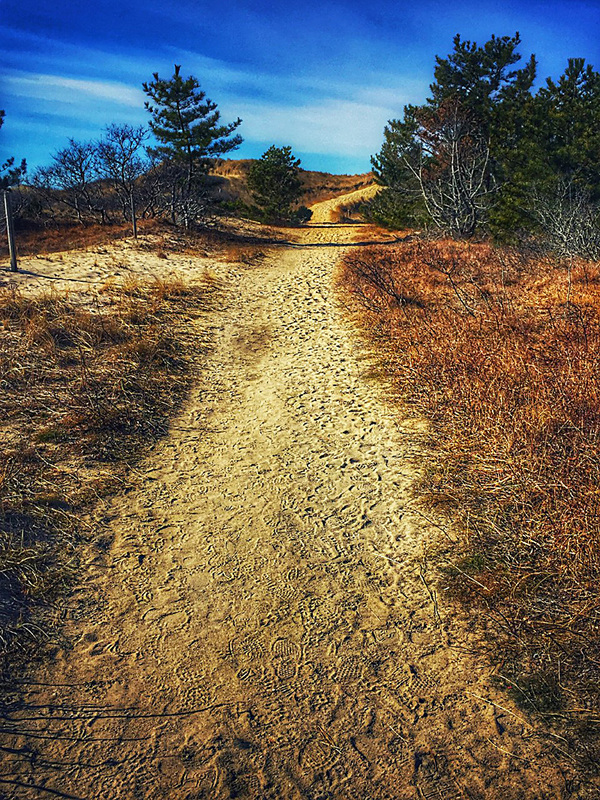 I can’t wait until it gets a bit warmer and we can head up to Provincetown for a picnic on Beech Forest Trail, part of the National Seashore just outside of the center of Provincetown. It is such a pretty trail over a boardwalk where you can see many different species of birds, through the forest and around Blackwater Pond. It’s a “must” if you’re in the Provincetown area! And there, at the end of the trail is the perfect picnic table to relax and enjoy nature. 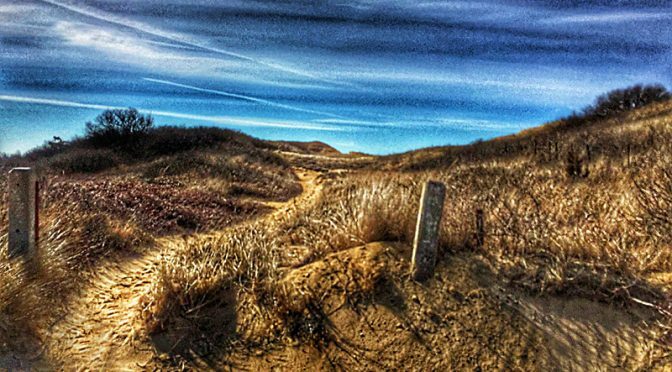 Nauset Marsh Trail In Eastham On Cape Cod is On The AllTrails App. 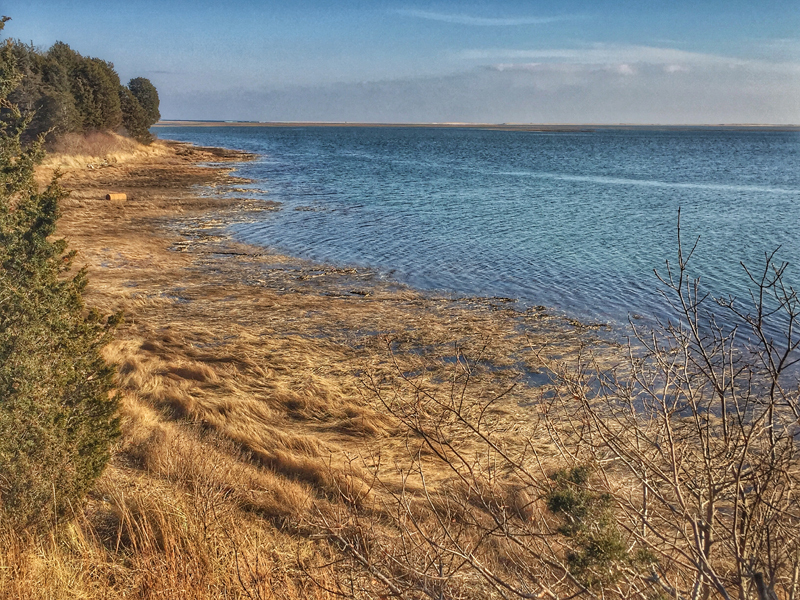 The Nauset marsh Trail has so much diversity from hiking around the Salt Pond, over a bridge over the salt marsh where you can see many water birds feeding and through the woods to a gorgeous overlook of Nauset Marsh all the way out to Nauset Beach. From there you can hike back to the Visitors Center or continue out to Doane Rock and Coast Guard Beach. It really is an awesome hike, any time of the day and any time of the year. 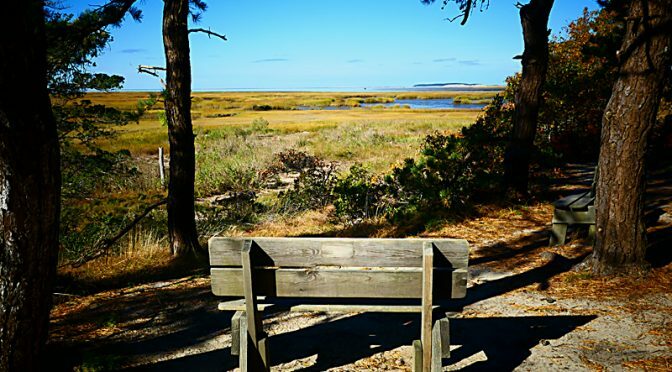 So Many Benches To View The Gorgeous Views On Cape Cod! 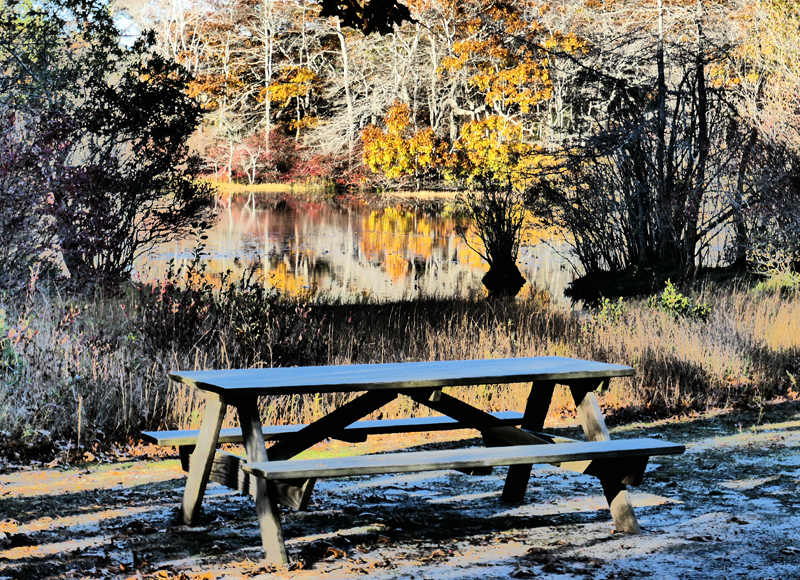 Bayview Trail at the Wellfleet Wildlife Sanctuary has several benches that beckon you as you hike by. The views are spectacular which ever way you look. A perfect place to sit, relax and enjoy nature on the trail. 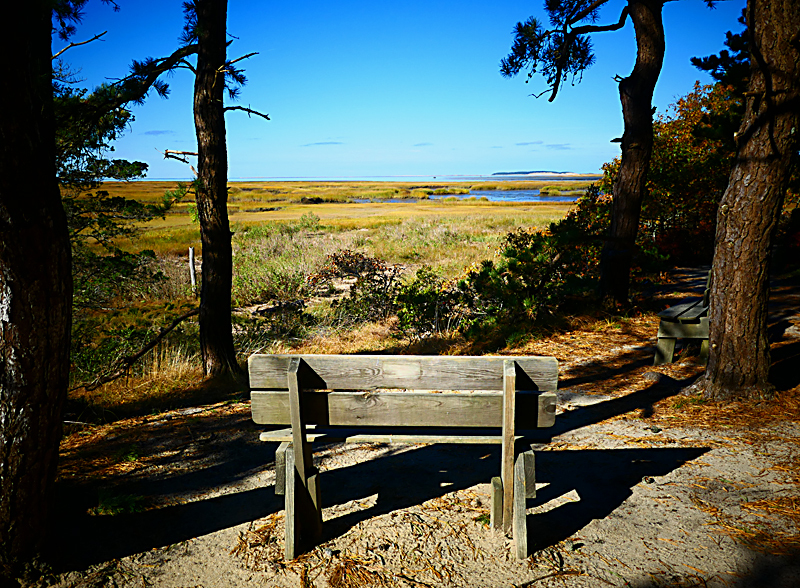 I especially liked this bench on the trail which looks out over the salt marsh to Wellfleet Bay. So pretty, don’t you think? 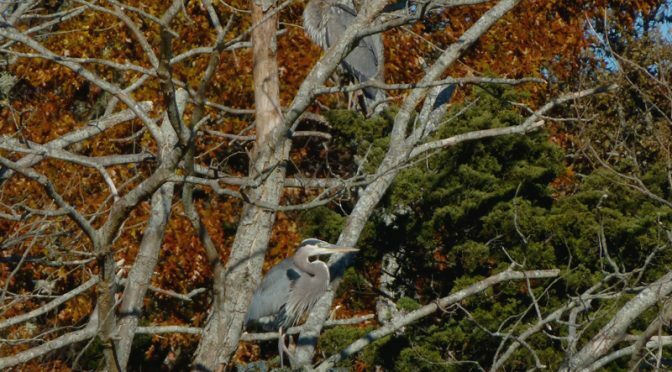 Great Blue Herons High In The Tree On Cape Cod! I am always so surprised to Great Blue Herons way up high in a tree. It just seems natural that they are by the shore fishing, not up in a tree resting. 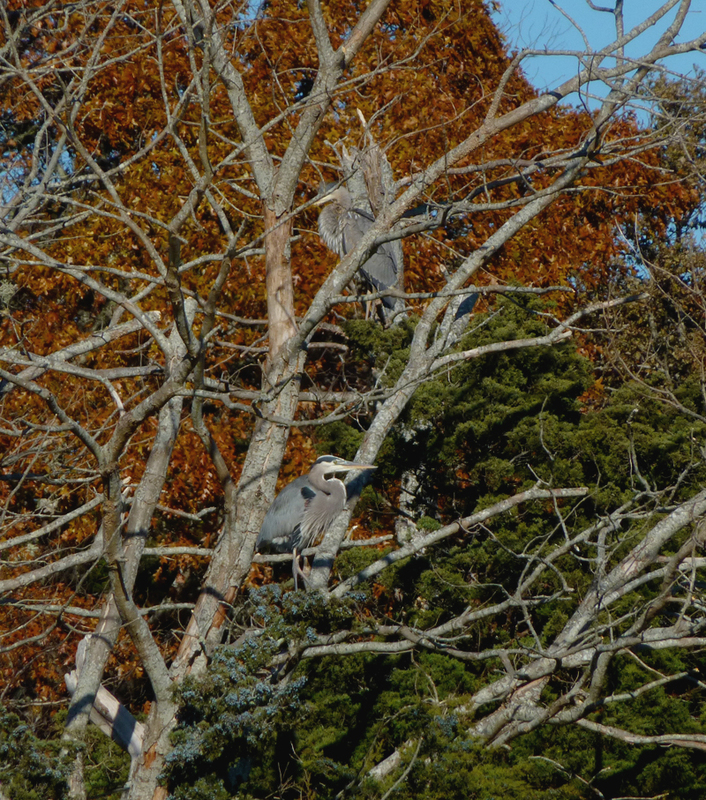 I saw these two Great Blue Herons on the Nauset Marsh Trail by the Salt Pond. Pretty cool, huh? Picture Perfect Day At Fort Hill Overlook On Cape Cod! 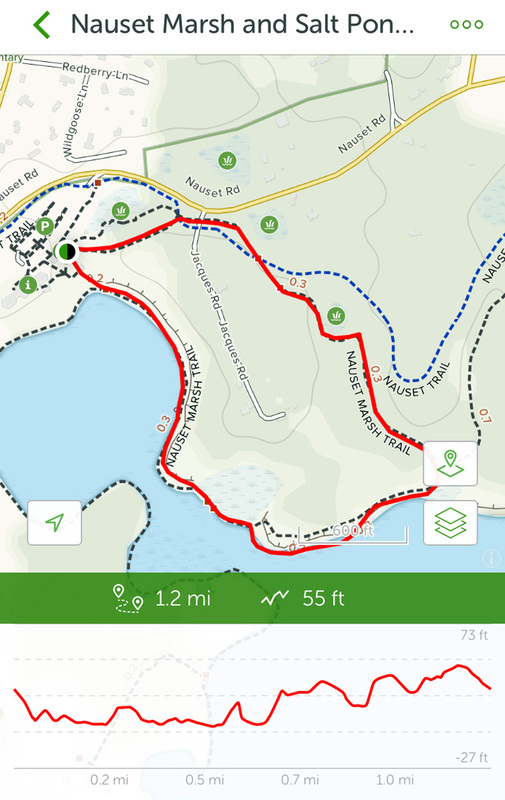 It was a gorgeous day for a nice hike at Fort Hill. It was sunny with temps in the 40s but little wind. 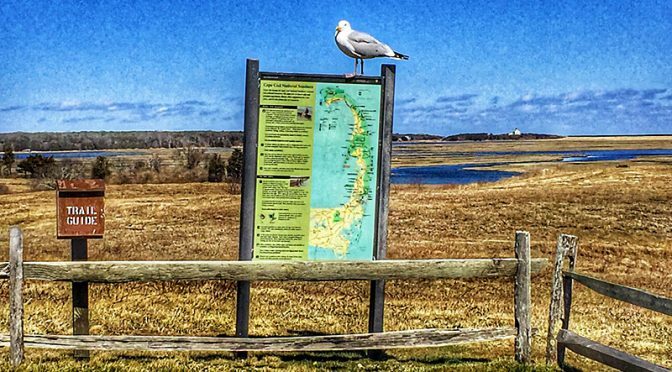 We had just hiked up to the overlook when this seagull looked as if it was posing on the map of the National Seashore with Nauset Marsh and then Coast Guard Station way in the background. 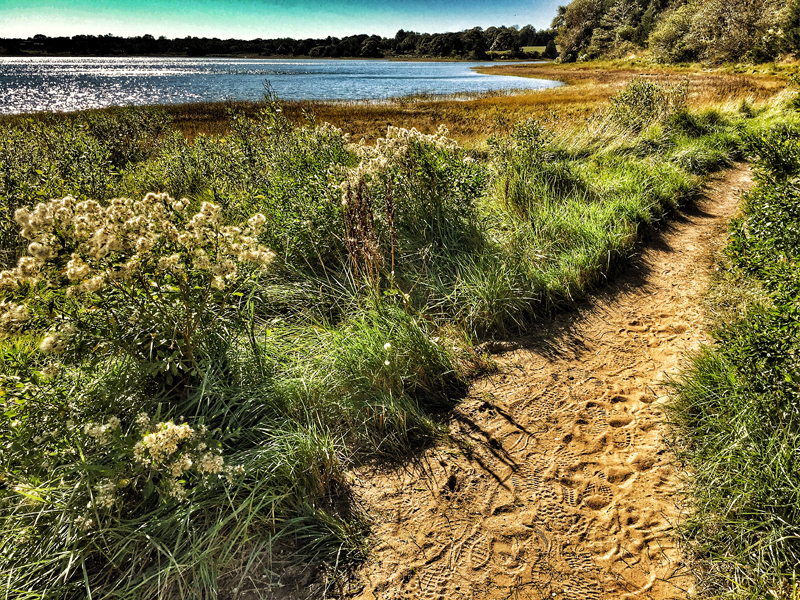 So Many Pretty Trails To The Beach In Wellfleet On Cape Cod. 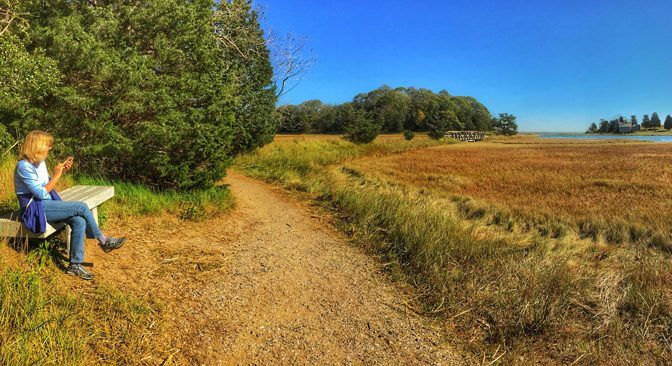 The trails to the beach in Wellfleet are so different and so pretty. These 2 trails lead out to the ocean, opposite the harbor side. Love the clouds in the background. What do you think? I have always been an outdoor enthusiast. Living in Connecticut for most of my life, I love to hike, bike, ski, snowshoe, ocean kayak and photograph nature. With our house in Cape Cod only a few yards away from the beaches, it is just incredible. The views are spectacular, the hiking is amazing, the biking is great and the sunrises and sunsets are photographic. There is always something to do and something new to see. I would like to share my Cape Cod Blog with you and my love of the great outdoors: birds, wildlife, hiking, beaches, butterflies, wildflowers, photography and outdoor adventure. Please feel free to comment on any of the stories. It would be fun to hear from any or all of you reading my stories. Cape Cod blog stories on Cape Cod hiking, Cape Cod wildflowers, Cape Cod birds, Cape Cod beaches, Cape Cod butterflies and the great Cape Cod outdoors. Linda O. on Beautiful Pine Warbler At Our Feeder On Cape Cod. Mel on Lone Daffodil In The Woods By Our Home On Cape Cod. Linda O. on Lone Daffodil In The Woods By Our Home On Cape Cod. Mel on Getting Ready For A Picnic At Beech Forest Trail In Provincetown On Cape Cod. 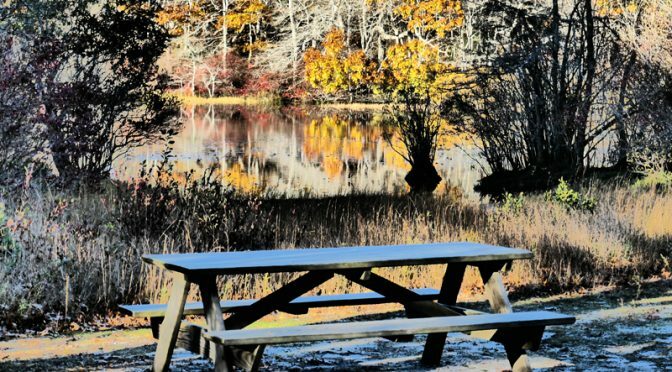 Linda O. on Getting Ready For A Picnic At Beech Forest Trail In Provincetown On Cape Cod. Linda O. on Beautiful Little Black-Capped Chickadee In Our Yard On Cape Cod. Linda O. on Beautiful Reflections At Hemenway Landing On Cape Cod…In Black And White Or Color? Mel on Two Perspectives At Coast Guard Beach On Cape Cod. Sondra Lage on Two Perspectives At Coast Guard Beach On Cape Cod. Liz on Two Perspectives At Coast Guard Beach On Cape Cod. Linda O. on Two Perspectives At Coast Guard Beach On Cape Cod. Diane on Two Perspectives At Coast Guard Beach On Cape Cod. Tree on Storm Clouds At Coast Guard Beach On Cape Cod. Linda O. on Storm Clouds At Coast Guard Beach On Cape Cod.